Sea, Sand & Sky: We found a horseshoe crab! This week started out strong with a rare Horseshoe crab encounter, my first time ever seeing one alive. At first we thought the crab was a rock, but when it started moving we quickly scooped it up and brought it over to the touch tank. The crab was roughly the size of a dinner plate but with more of a pointed oval shape ending in a long, straight tail. As Eric held the crab at a full arm's length, some sort of sticky, viscous, black sludge dripped from the crab's back. There was so much sludge that the water in the touch tank immediately clouded up with the addition of the horseshoe crab. I still don't know what the... residue was, but I'm just glad I wasn't the one holding the crab. Apart from the obvious facts, nobody really knew much about horseshoe crabs, so the next paragraph is devoted to the research I conducted after work. Despite masquerading as crustaceans, horseshoe crabs are actually arthropods, meaning that they are invertebrates with exoskeletons, a segmented body, and paired jointed appendages. It also means that they are more closely related to spiders and scorpions then they are to crabs (interesting note: horseshoe crabs are the closest living relatives to an extinct species of water scorpion). They are considered as living fossils due to the longevity of the species and lack of close relatives, genealogically speaking. 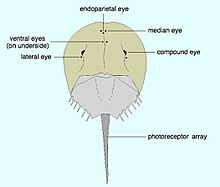 Horseshoe crabs have NINE EYES. Yeah. Nine. They also swim upside-down, and have two eyes on their underside so make it easier. Honestly, these things belong on a different planet. As a last fun fact, horseshoe crab blood is used medicinally to test for bacterial infections. Wednesday we visited Curley Community Center at Carson Beach, which was my first time going to a public beach in Boston. As we walked out of the beach building and onto the sand, we were greeted by more than a dozen wild, jumping, crazy kids. After everyone was calmed down, we set up our rods and baited them, then split the kids up into groups. It took a few minutes for the kids to learn the basics, but soon enough all of the kids were casting without getting close to hitting people (it's the little victories, y'know?) It's amazing how even casting and reeling is exciting for kids, even if they don't catch anything. Thursday was my last day at Blacks Creek, at least for a while: I'm moving locations for the next two weeks, and part of me is glad because in my mind, change is always welcome. I'll miss the campers though, and I had finally learned all of their names. I think Blacks Creek is the perfect introduction site to working with Save the Harbor because the skills are easy to pick up even if you don't have experience (for example, I had never held or caught a crab before, but now I'm pretty good at it.) I'll also miss working with the Blacks Creek regulars: Eric, Briana, and Ariagnna. 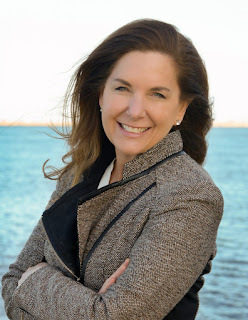 I'm looking forward to my next site! This week marks the first iteration of my song of the week! This will consist of songs I listen to on my commute that I think people will enjoy. I'll try to pick from different genres, but no guarantees there.